This is the period right after the puppies are born, so they can’t do much yet. They have taste, touch, and the ability to feel warmth, but haven’t opened their eyes or developed any real hearing. They are entirely dependent on their mother and their littermates during this period, and will mostly just sleep and eat. During this time, the puppies will start to gain more control of their motor skills and of their senses. Their eyes will be open and they’ll begin to develop the ability to hear and smell. They’ll also be able to control more of their body functions, like temperature regulation, wagging their tail, and using the bathroom on their own. They may even start to bark! By this time, the puppies have gained complete control of their body functions and their sense, and will start to explore the world around this. Socializing and the socialization process are extremely important during this period in a puppy’s life. In the beginning of this period, the puppy will depend on and learn from its littermates and from its mother. During the second half, however, is when it starts to learn about humans and how to socialize with them. This is actually the best time to take puppies home as they’ll be easier to teach and will be more open to new experiences with humans. Housebreaking can begin during this period as well as simple behavioral responses like “Sit”, “Stay”, and “Come”. They’ll also begin to learn more about things like social boundaries, their own physical coordination, and an inhibited bite when dealing with humans. An important segment of this period is the “Fear Impact” period, which happens usually between 8 and 11 weeks. This is a period of time when puppies are particularly prone to frightening experiences and will scare more easily, leading to long-term behavioral effects. Be very attentive during this time in the puppy’s life to make sure they stay out of trouble and are well looked after. You could consider this period to be “Elementary School Age”. During this time, the puppy begins to think in terms of submission and dominance, especially as they explore the hierarchy of their pack and of your household. Focus on positive reinforcement during this period is best. This may be challenging however, given that this is also the stage when most dogs begin teething and chewing. Be attentive during this stage to your dog’s behavior and make sure to keep valuables out of reach. Most of your dog’s social behaviors will have developed by this point, but continued socialization is still important. 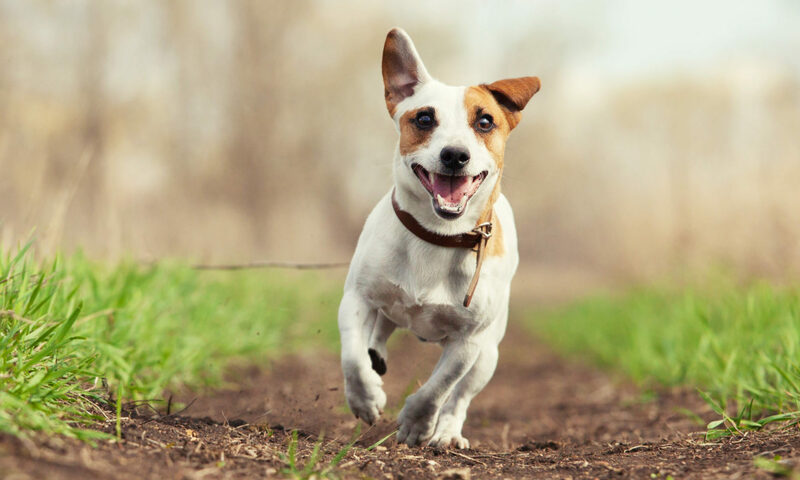 Energy levels will also ramp up to the maximum, so having some structured activities and time for exercise will help your dog stay well-balanced and healthy. If you haven’t spayed or neutered your pet, this is when sexual behaviors begin to surface. Be mindful of where your dog is and if they have contact with other dogs during this time. If your dog is male, you will also notice that the “Leg Lift” will begin to occur. Finally, you’ll also notice that your dog’s puppy coat will be replaced by its adult coat. By this point, you will have a fully developed dog on your hands. They should be emotionally and physically mature by this point and behaviors will be more difficult to change. If your dog is not well-behaved, or is exhibiting behaviors that you’d like to change, consider contacting a dog trainer in your area. They will be well versed on training methods for dogs and will be able to give you expert advice. Previous PostPrevious Why Clean Up Dog Waste?